One of our leading customers in Lausanne is looking for a highly skilled Data Scientist to join the team. This business develops technology to revolutionize how investment decisions are made. By extracting information from data, they advise clients on how to invest and make the best decisions. In this role, our customer needs someone who can work within modeling research, designing and validating models to transform data into actionable insights. You would develop predictive statistical, machine learning and deep learning methods. This position would also include managing the research process including methodology selection, data collection, modeling and analysis. In order to apply for this position, you should have strong experience working as a Data Scientist; ideally with a focus on NLP and text mining. Experience and knowledge in data analysis and statistical modeling techniques (machine learning, deep learning, signal processing) are also required. Good skills in time series analysis and machine learning research are also important. If you feel your experience matches the requirements well and you are keen to hear more, please apply and we'll arrange a call soon. 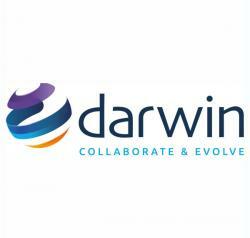 Darwin Recruitment is an international recruitment business, specialising in all things Digital & Data. Over the past 16 years we've developed a solid recruitment strategy, resulting in substantial growth worldwide. We believe we provide the best working environment for our staff, as well as an unrivalled level of service to our clients and candidates. As a result of our continuous growth and success, we now have offices in the UK, Amsterdam, Boston, Munich and Zurich with plans to open offices in Scandinavia and Eastern Europe to further expand our global presence.